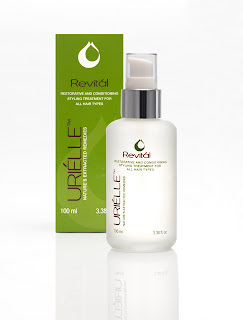 Hope's Cafe: Urielle Revital-Treatment Review and Giveaway!! My hair looks dull. I think this may add the shine back. My hair gets frizzy after drying it. This looks like it would keep the frizz under control. I think it would make my hair healthier looking!!! My hair is dry and full of static in the winter. This would help it a lot. My hair gets so frizzy. I would love to have it look smooth once again. I think it would be helpful because it contains manuka honey, it hydrates and nourishes. my hair is dull, flat and so fine and their oil containing serum will help a lot! I have baby fine hair and I need something that doesnt weigh my hair down. This will help give my hair some body and shine. My hair is fine, so I like that this is a light weight treatment. I like that is is a long term health product. I would love to win this. Thanks!